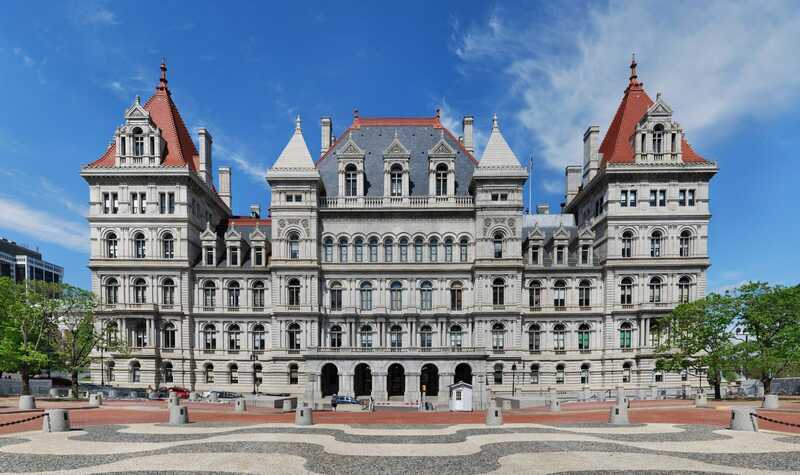 Legislative alerts from the Salon and Spa Professionals of NYS will keep members up to date on all matters concerning the industry at the capital. Your personal involvement is encouraged with communications to lawmakers to better inform these decision makers of the potential impact proposed laws may have on our industry. Legislative Director, Art Wilcox, brings over 30 years experience navigating through NYS regulations and policies, specifically with NYS Department's of Labor, Health, State, Budget and Workers' Compensation Board among others. NYSASSP has focused on advocacy with a unified voice from our membership to advance our professions for the benefit of all practicing their craft within the industry. We call on you to be attentive to legislative alerts when issued and respond accordingly. Let us know what your issues and challenges are. Together our voices are strong and clear. Bill No. - S06343 - We support this legislation which has passed the NYS Senate which relates to theft of services from barbershops, salons or beauty salons and makes such an offence a violation. Up until now, no current law existed under current NYS penal law. **Update** Governor Cuomo has signed this bill into law!! See the press release HERE. We thank NYS Senator Alcantara, NYS Assembly Member Hyndman, all in the Senate & Assembly who supported this amendment and of course Governor Andrew M. Cuomo for signing this. Bill No. - A10457 - Recently introduced legislation that would amend the general business law to mandate cosmetologists & barbers to complete 36 hours of continuing education (4 of which would be dedicated to domestic abuse awareness) during each 4-year license renewal period. This bill stands currently in the Committee on Economic Development. For more information click on the Bill No. above. We are currently gathering feedback from the industry on the potential creation of a SHAMPOO CERTIFICATE. Under current NYS licensing rules, one must be fully licensed in order to just perform shampoo services in a salon, spa or barbershop. Would you be in favor of allowing cosmetology or barbering students (who are currently enrolled in an accredited program) the opportunity to perform shampoo services? Please take the SURVEY here!